The SWX Group's Swiss Exchange and virt-x, its London-based securities exchange subsidiary, have launched an initiative called 'Trading for the Future', which they say will facilitate increased levels of algorithmic trading and direct market access (DMA) opportunities for market participants. The SWX Group’s Swiss Exchange and virt-x, its London-based securities exchange subsidiary, have launched an initiative called ‘Trading for the Future’, which they say will facilitate increased levels of algorithmic trading and direct market access (DMA) opportunities for market participants. The 'Trading for the Future' initiative involves the implementation of a high data capacity and low latency trading platform. 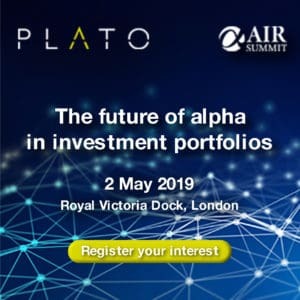 The platform is based on technology initially used by the SWX Group for trading in warrants and structured products and is ideally suited to high-frequency algorithmic trading and DMA, says the company. 'Trading for the Future' will be implemented over a three-year period in several phases: The first phase is already underway, with the launch yesterday of international bonds on the platform. Equity trading will be possible on the platform by the summer of 2008. New industry standard interfaces for order routing, trade reporting and market data will also be implemented by the end of 2008. The migration of off-book services and trade processing will take place in 2009 and 2010. These two phases comprise internal re-engineering and efficiency measures, and will not impact upon customer experience, say the firms. In addition to enhanced capacity and speed, 'Trading for the Future' reduces costs for participants by ensuring applications are tailored to their specific requirements, according to SWX Group. SWX Swiss Exchange and virt-x will be reviewing their tariff structure for 2008 to enhance the key components of their service offering. "We recognise the importance of providing open and innovative trading services and this latest initiative addresses the needs of our members and the key business drivers in securities trading," notes Jorg Spillmann, head of executive committee, SWX Group. "We are committed to driving growth in blue-chip trading and meeting the needs of our members who indicated their desire for greater transaction capacity and lower latency," comments Jim Gollan, chairman, virt-x. 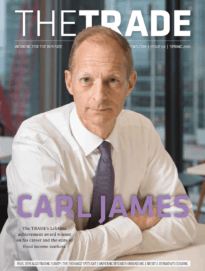 "This latest development in the evolution of our trading services provides a high-performance and cost-effective offering for our members to capitalise on an increasingly automated market. Delivering efficiency and cost benefits remains a priority throughout this and future initiatives," he adds.